McKinley Equipment delivers quality, reliability, safety and efficiency in every piece of dock equipment we sell. We carry a complete line of warehouse fans, dock levelers, lifts, seals, shelters and vehicle restraints. As the premier loading dock equipment supplier serving California, Arizona and Nevada, we are proud to represent the leading brands and manufacturers, including Kelley loading dock equipment as a select manufacturer. With over 60 years of innovation, Kelley products are recognized for durability and quality. Increase the productivity and safety of your loading dock area with solutions from McKinley Equipment. From start to finish we provide solutions; dock lifts and levelers ease loading and unloading and our vehicle restraints will help avoid costly and dangerous accidents. We stock many hard to find and aftermarket dock accessories to complete your modern warehouse. 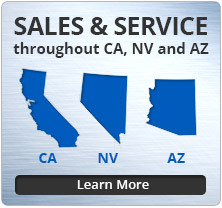 McKinley is headquartered in Irvine with service throughout Southern California and the Las Vegas region. 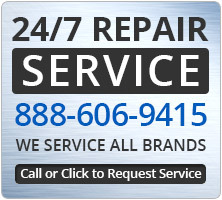 Our knowledgeable staff is ready to work with you to find the solution to serve you best. McKinley Equipment Company has been in business since 1948, and specializes in the sales, installation and service of all of our products. We aim to make your facility safe and efficient and take the time to evaluate what equipment will improve productivity, decrease danger and increase the dock effectiveness and function. Dock Levelers bridge the gap between the loading dock and the trailer.Models include mechanical, air-powered, hydraulic, vertical storing and more. Vehicle Restraints and Wheel Restraints increase safety by helping to prevent premature trailer departure during loading and unloading activities. Dock Seals and Dock Shelters reduce energy loss, prevent debris infiltration and product loss, and provide protection from weather. Dock Lifts and Truck Lifts keep products level for loading & unloading while accommodating a wide variety of truck types. 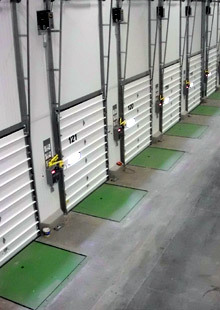 Dock fans, lights, bumpers, bridges, boards, trailer jacks, yard ramps and more to improve loading dock productivity and safety.